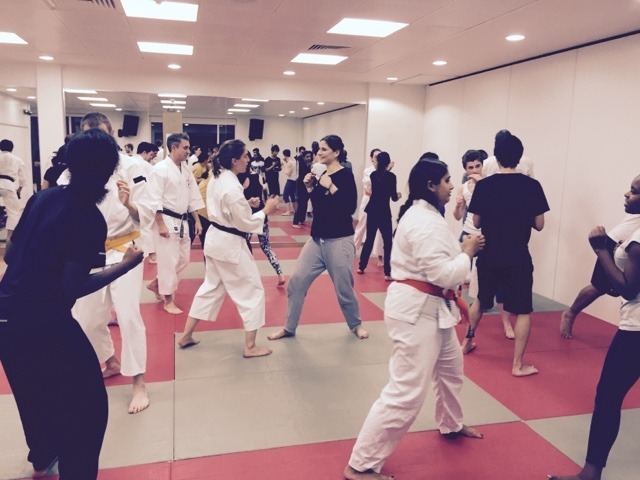 Come and learn practical self-defence in a fun and safe environment, every Wednesday and Saturday at Qmotion (Stepney Green/Mile End). Shorinji Kempo is a Japanese martial art based on the use of physical principles and weak points rather than brute strength. It is an ideal form of practical self-defence, particularly against larger or stronger opponents. Training also incorporates restorative massage (seiho) and seated meditation (zazen), and emphasises mutual respect and cooperation rather than competition. For your first class all you need is water, comfortable gym clothing, and a photo ID card for reception. Beginners are always welcome, and the first lesson is free. Over 18s only.